How did we come up with this year’s list? That’s not one of the Four Questions! But Abigail Pogrebin, Gary Ginsberg and Michael Lynton will tell you anyway. Its creators never expected it to be taken as seriously as it is. We know there are many more than 50 worthy rabbis in the U.S.
Like it or not, most prominent rabbis live on the two coasts, because that’s where the major seminaries are located and where the preponderance of Jews (and Jewish funders) reside. Yes, there are far fewer women than men on the list, but this year there are more than ever before—and at 28 percent female, we’re ahead of the rabbinate. We weight the list toward what’s been newsworthy in the last year, because we want to let readers know what’s new in the world of Jewish clergy. We do value and admire rabbis who keep their heads down and continue to do their pastoral, spiritual or organizational work year after year. But if we only rewarded consistency, the list would be unwieldy, fixed, and dull. Therefore we’ve chosen to highlight rabbis whose recent activities seem to us to merit special notice. Finally, if a rabbi was dropped from the list, it isn’t necessarily because we deemed that person unworthy but because we want to make room for fresh voices. Who are we to make these decisions? Gary Ginsberg and Michael Lynton originated the list and continue to play a major role in weighing the roster and rankings. Ginsberg is executive vice president of Time Warner Inc. Lynton is CEO of Sony Corporation of America. 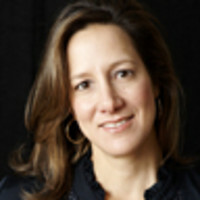 Both are devoted to Jewish learning and to Israel.Abigail Pogrebin, who wrote the bios and determined the roster with Ginsberg and Lynton, is a former 60 Minutes producer and freelance writer who has published two books for Doubleday and a Kindle Single for Amazon. Pogrebin has spent the last seven years speaking to Jewish groups and studying Torah and Talmud with some of the most respected rabbis and scholars in contemporary Judaism.Raphael Magarik, who researched and wrote some of the bios this year, recently graduated from Yale and is an editor at the Daily Beast’s Open Zion blog. The criteria for the rabbis:Are they innovative leaders—communally and/or spiritually?Are they considered leaders in Judaism in general or their denominations inparticular?How large are their constituencies?Have they made an impact on Judaism?Have they made an impact beyond the Jewish community?Are they known nationally/internationally?Do they have political/social influence?Do they have a media presence?